Melbourne mc, speaker, Martine Harte. Martine is a dedicated voice for the advancement of women and diversity. 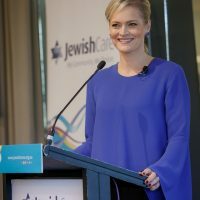 She elevates the voices of women through publishing, an all-women speakers offering, networking, activism and consults big business, government and not-for-profits. 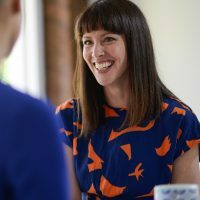 Martine founded the platform Engaging Women, when there was little like it in the space, to drive the conversation that gender equality is vital for our progress and encourage more women to step into public life. She believes women and men can achieve diversity more powerfully when they work together. 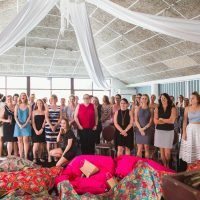 Engaging Women contributes its expertise towards gender equality and diversity events for Australian small business, big business and government. She shares tools and tricks to encourage other women to step into their power. 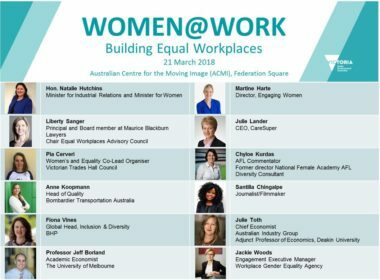 WorkSafe Victoria’s ‘Women at Work’ series. 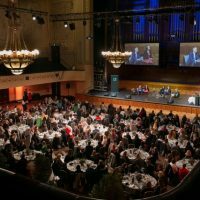 City of Melbourne’s 2017 ‘Women in Business’ lunch at Melbourne Town Hall. 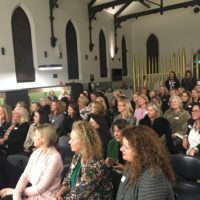 Bayside Women’s ‘Press for Progress’ event. ACS ‘Striving for gender parity’ breakfast at ACMI. 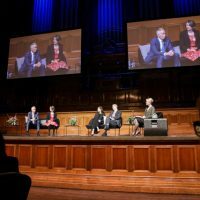 Martine was awarded a prestigious Melbourne Press Club Gold Quill Award for excellence, a Logie award nomination for journalism and judged the 2017 Telstra Business Woman of the Year awards. 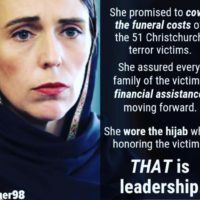 Described by The Age as, “An ideal general for this growing female army,” she uses new media to challenge thinking around the rights of women and girls. Craig Eloranta. City of Melbourne. 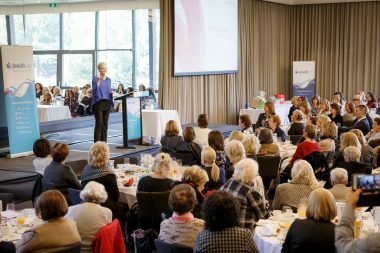 The National Library of Australia selected Engaging Women to add to its digital collections citing its cultural value. Martine has played an active role in encourage more women and girls in STEMM. Moderating panels at the National Press Club in Canberra and lending her expertise to Telstra. 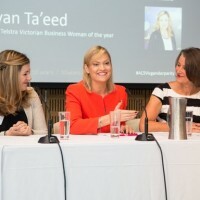 She was selected for Telstra’s influencer program in 2013. 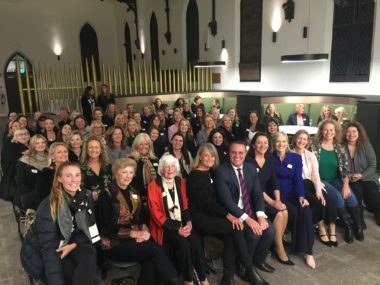 In June 2018, Martine drove a ‘Press for Progress’ event in collaboration with the Office of Tim Wilson MP in Bayside Melbourne. 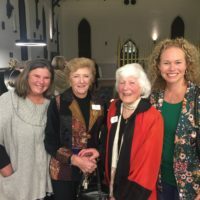 She hosted the all-women panel and designed the first ‘Lifetime achievement award’ which went to 97-year-old Lesley Falloon OAM for her leadership. It is now set to become an annual event and raised funds for Our Watch. 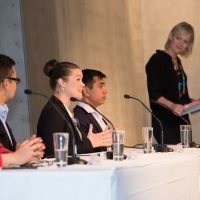 After more than a decade as a journalist, Martine responded to the changing media landscape by diving in head first; founding the digital platform to share the voices of women when there was very little like it in the space. Sarah-Jane Tilbury, General Manager at SEA LIFE Melbourne. 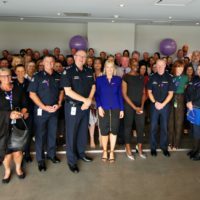 The platform also raises funds to fight family violence through its ‘Ambassadors for Good’ program. It a wide reach across social media and a strong subscriber base. “The Martine Harte story has now become very much a new-media journey. Thank you so much for the outstanding job you did as MC for Lunch to Liberate. You were engaging, warm, smart, articulate and always in control. We truly couldn’t have asked for a more perfect MC for the day and we felt very lucky to have you! Martine was engaging, weaving her message of equality, empowerment and respect through her personal narrative. Students and staff present were both entertained and educated – a pleasure to hear, perfectly pitched and something that every school community should hear. Head of senior school – male. Engaging Women also provides a vehicle for women to spark change through its Ambassador program. 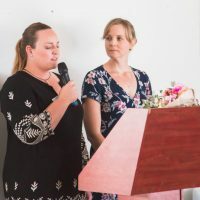 It helps raises money for family violence outreach, including several events raising thousands of dollars for Our Watch. The promotion of these events also sends a message through popular culture that violence against women is wrong. 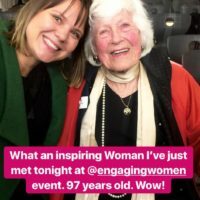 Engaging Women seeks to find new ways to send this message through creative promotions of events. Rosie Batty, Australian of the Year, is featured in the Engaging Women library. 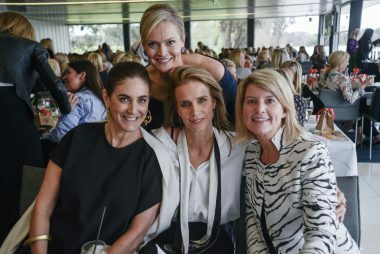 From left, General Manager Pacific Magazines Jackie Frank, Engaging Women founder Martine Harte, Academy Award nominee Rachel Griffiths and Australia’s Ambassador for Women and Girls Natasha Stott Despoja. Fairfax feature The Age, Spectrum Magazine.